I feel like I bought so many new liquid eyeliners in 2011! But in reality, I think it just feels that way because all the ones I've picked up, I love, and use on a regular basis. 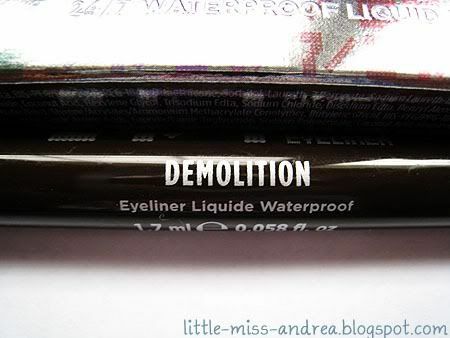 Back in December, I picked up the UD 24/7 Waterproof Liquid Eyeliner in Demolition on a whim. I had heard good things about the product and was excited to see how well it would hold up. 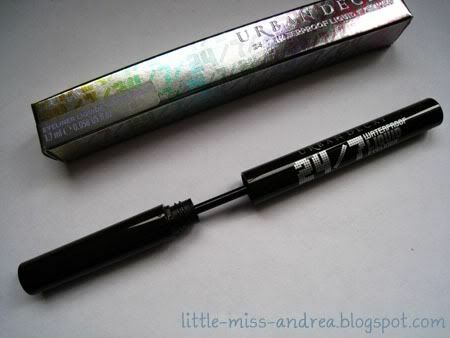 The product is packaged in a sleek tube, with a very thin brush applicator. Before use, you must shake the tube in order to mix up the product to get full pigmentation. 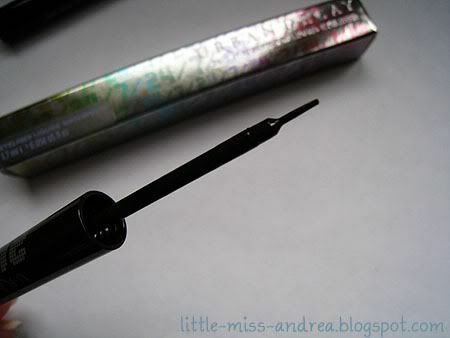 Now the brush applicator is so thin and pointy that you may find yourself poking your eyelid on some occasions. It's a tiny little prick that will not hurt you, but may irritate you when you feel it. Don't let it deter you from trying out the product though! The formula is very pigmented, and Demolition dries to a dark, matte brown. The brush is extremely easy to use and manipulate - you can draw thin lines, taper the brush strokes, or build up to draw a thicker line. My favourite way to use this product is to wing out the eyeliner, as the brush is thin enough to make the drawing of a wing simple and fuss free. It's a long lasting product that will not budge after drying, and will wear smudge free up to 12 hours for me. The one thing I would have to mention with this product is that it can apply pretty thick - it can sit thickly atop of the eyelid if you are building up the product. 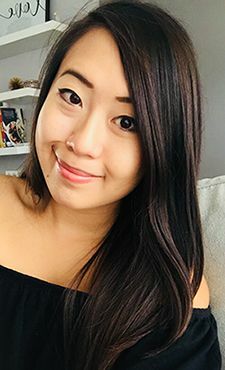 As a result, you will be able to physically feel a layer of product on your eyelid, versus a pencil liner which deposits a thin layer of product that sits harmoniously with the skin. I don't personally have a problem with this, but when it comes to removal, the product will ball up and form little pieces that stick around the eye. 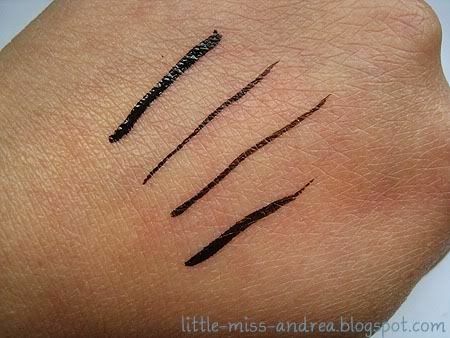 Make sure to remove and cleanse the eye area thoroughly to remove all traces of the eyeliner. I really love this particular eyeliner in Demolition - the brown shade it dries to is dark enough that it can be passed off as almost being black, but without the stark colour that some black eyeliners can carry. The 24/7 Waterproof Liquid Eyeliners come in 11 different shades, ranging from gold and silver to hot pink and teal. Unfortunately, not all the shades are matte, and many contain shimmer and sparkle, which can be difficult to incorporate in everyday neutral looks. Good review :) Definitely trying this one! This will be the best post on this topic I have ever read. I'm truly quite impressed with it. Maintain blogging!